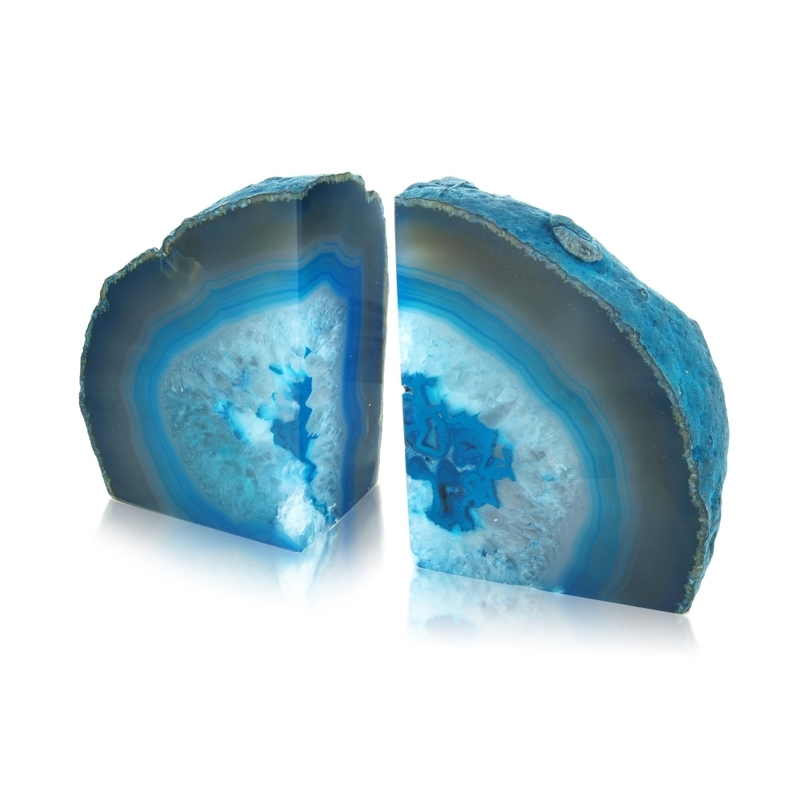 Both decorative and useful, this Pair of Teal Agate Stone Bookends are ideal for keeping your books in place in a stylish way. The vibrant teal tone crystal pieces are sure to stand out on any bookshelf. A unique addition to many homes and interiors, the bookends would make a lovely housewarming gift idea.